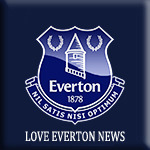 Everton has demonstrated its ongoing commitment to its fans by freezing ALL Season Ticket prices for 2019/20. A determination to support affordable football has been a long-term priority for the Club, reflected by Season Ticket prices for 2019/20 being an average of 12 per cent cheaper than the 2013/14 campaign - and that this announcement marks the fourth consecutive year that general admission Season Ticket prices have been frozen. The 2019/20 price freeze means that Season Tickets will be £95 for ALL Under-11s, £149 for ALL fans aged 11 to 18 and £299 for ALL fans aged 18 to 21 or 65 and over. For young adults aged 22 to 24, prices are just £380 - and from £420 for all other adults. These prices equate to just £5 per game for Under-11s, less than £8 per game for 11 to 18-year-olds and less than £16 per game for 18 to 21-year-olds and fans 65 or over. In the adult categories, prices are just £20 per game for 22 to 24-year-olds and from less than £23 for all other adults. For the first time, fans who paid by any form of Direct Debit in the 2018/19 season will be automatically renewed for next season, following the introduction of the ‘rolling’ Direct Debit scheme for this season. In both 2017/18 and 2018/19 the Club hit its cap on Season Tickets - and a waiting list will once again be in effect for supporters keen to have the chance of purchasing a Season Ticket for next season. Indeed, the consistent level of support - and demand for tickets - has ensured a home sell-out for every Premier League game at Goodison so far this season. Fans have enjoyed a three-match winning run at Goodison from Marco Silva’s Blues in recent weeks, with his new-look side positioned just one point off the top six. In addition to the auto-renewal option which applies to fans on this year’s Direct Debit scheme, a wide range of payment options are available for 2019/20. The increasingly popular Direct Debit scheme means Evertonians will once again have the option to spread the cost of their Season Ticket via 12, 11, 10 or nine-month payment plans. Three-staged and two-staged payment options will also be available, alongside the choice to pay up front in full. All supporters who choose any of the Direct Debit options for 2019/20 will be moved to a 12-month auto-renewal for subsequent seasons, ensuring their seat is retained with no need for renewal. Auto-renewal is the easiest way to maintain your sought-after place at Goodison and gives fans the chance to spread payments equally across the year. Existing Season Ticket Members currently paying by Direct Debit will be contacted later this month with information about their auto-renewal for 2019/20. All other Season Ticket Members will receive an information pack in January outlining their payment options and the range of additional benefits available for 2019/20. Non-Season Ticket Members wishing to join the Season Ticket Waiting List will be able to do so from today. Click here for more details. Hospitality Lounge Membership prices for the 2019/20 campaign will be announced in the coming weeks. Existing Lounge Members will also be contacted directly by their Account Manager with pricing details, once confirmed.